As an adolescent, whenever I began to feel overwhelmed, I’d take off for my secret hideaway – the Cow Pasture. I’d pour my heart out filling page after page in my journals about life’s injustices. You know all the kind adolescents experience – mean teachers, homework, bratty younger siblings, a mother who shelled out discipline like an Army Sargent to new recruits, and of course, the heartache of first loves. God, what I wouldn’t give to trade the stresses of today for those of long ago. 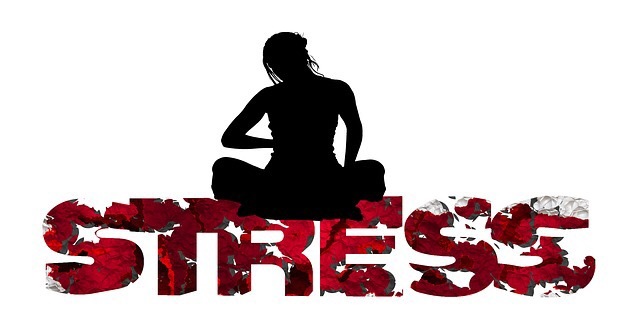 The stresses now are more serious and personal and at times difficult to shrug off or get past. Sometimes they stop me in my tracks. My writing takes a dive. My muse packs her bag and gets out-of-town. Call me when you get your s&#% together, she says. A blank screen stares back at me until I give up and put my WIP aside. It’s time for a break, a breather, or plain old escape. Now, I’m not a Pollyanna, type person. I’m well aware of the ups and downs of life and for the most part, have always worked through the tough times. The truth is for those of us getting older, facing health issues, among other things, it takes a bit longer to regroup. I understand time is not my friend. We can’t avoid all things life throws our way, but as a writer, if I didn’t want to leave projects unfinished, I needed to develop a methodology for handling the kind of stress that takes me away from writing or worse robs me of the desire to write. I know I’m not alone in this struggle. Over the last month, I’ve given this lots of thought. Here’s a few of my suggestions. Give yourself permission to take a break. It is okay to put your computer away for a time. Set a time limit on the break. Take a day, weekend, or vacation, but a timeframe will help get you back in the game when you’re ready. Enjoy the time like a kid at the end of the school year. During your break do something you enjoy – as in movies, family, friends, or nothing at all – chill out and focus on the moment. Give yourself permission to say “No,” and say it like you mean it. This time is your break, so do what you need to rejuvenate your mind and spirit. Don’t try to play catch-up when the break comes to an end; it’s a time waster. So, don’t fall into that trap; the world won’t end if you let a few things go. Reevaluate your writing goals and write them down. Work on one project at a time. Acknowledge you can’t be all things to all people – be what you need for you. And, last but certainly not least, limit your access to the time-sucking internet. How do you cope? I’d love to hear your comments. Talk to me. Tell me your story and look for me on Facebook at SheilaMGood, Pinterest, Bloglovin, Twitter@sheilamgood, Contently, and Instagram. You can follow my reviews on Amazon and Goodreads. ← Want to Know More About Writing Flash Fiction? I’m down, but not out. My fingers still work, although I think the pain meds are messing with my brain. Lots of errors that I miss even after I’ve proofed it. Since, at this point, I have idea how long I’ll be on the inactive list, I have no excuse to put off writing. I’m so sorry you’re having to endure such pain. I can relate, big time. Right now, it is becoming more difficult to type and the Drs. are wanting to do surgery – which would take me off line for a while and I’m not ready for that. Oh well, all I know to do is peck away for now. Here’s hoping you get relief soon and as always – good to see you in the pasture. What kind of surgery? Do you have rheumatoid arthritis? I have mixed connective tissue disease, sjogren’s, vasculitis, etc., etc. Carpal tunnel and thumb joint replacement surgery. Even the physician’s have said it is the most painful surgery ever – and I am allergic to nearly all pain medication. Not going there until I have to! Wow. That’s a lot to deal with. I surely will pray for you.